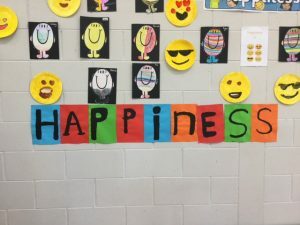 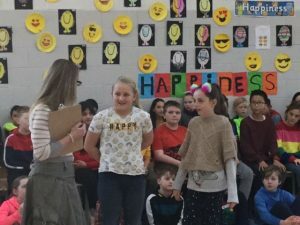 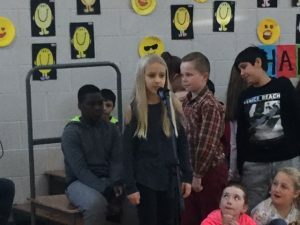 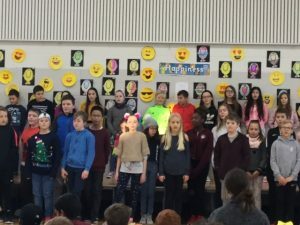 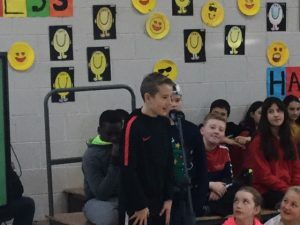 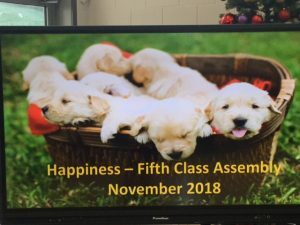 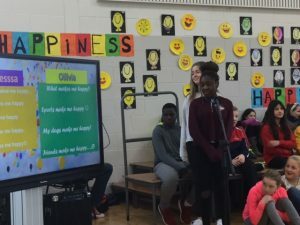 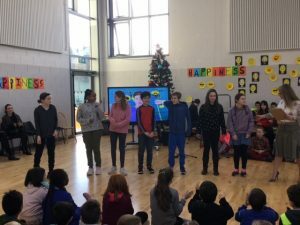 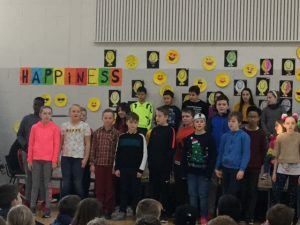 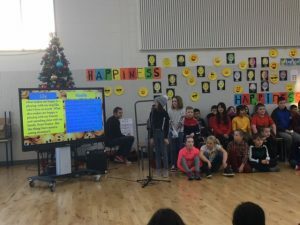 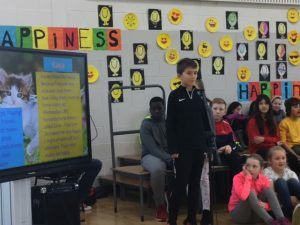 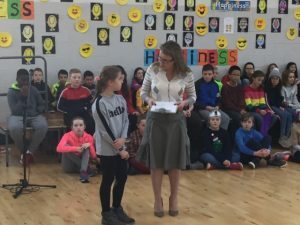 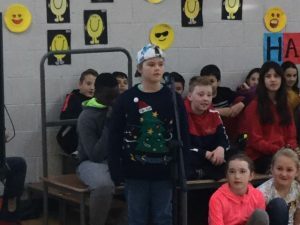 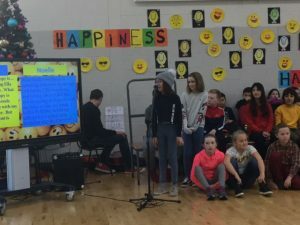 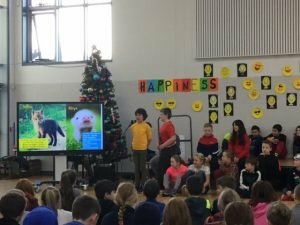 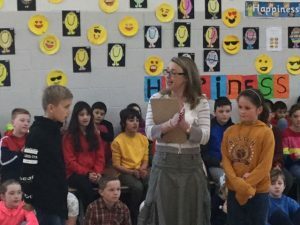 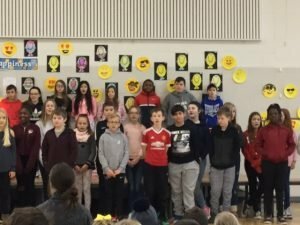 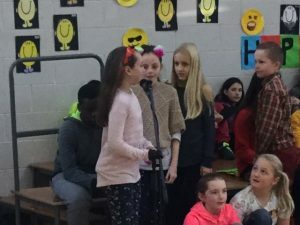 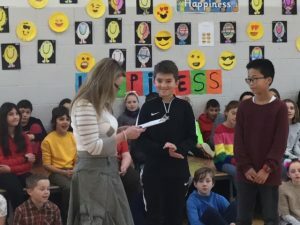 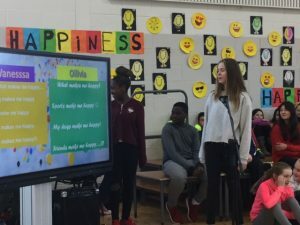 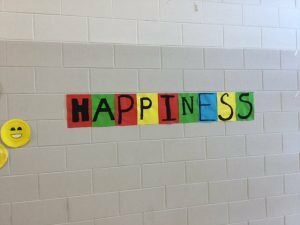 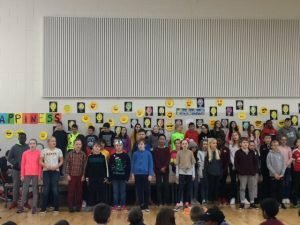 5th Class Assembly on ‘Happiness’ – Midleton Educate Together N.S. 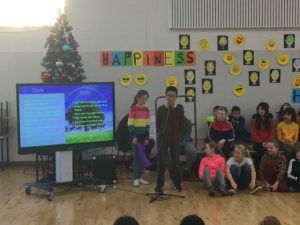 Following on from a wonderful 1st Class assembly our 5th Class pupils shared the meaning of Happiness with our Senior Pupils. 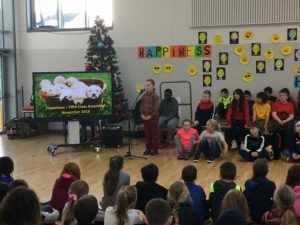 Another wonderful message was relayed and enjoyed. 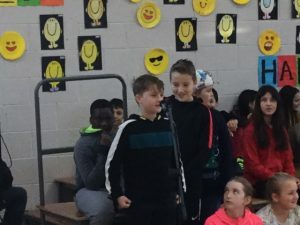 Thank you Garrett and Aoibheann! 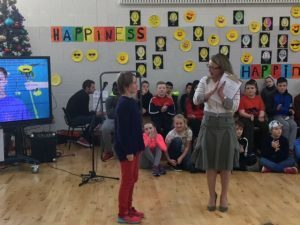 Sharing our success is something we are very proud of. 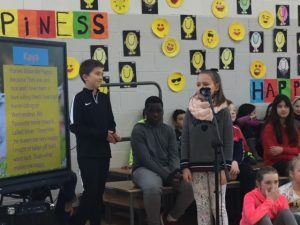 Our pupils success within our classroom, outside on the pitch, inside the music room and in chess room. 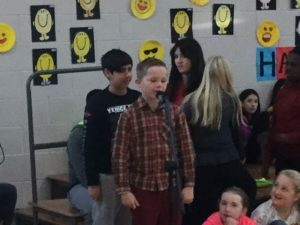 Well done METNS!